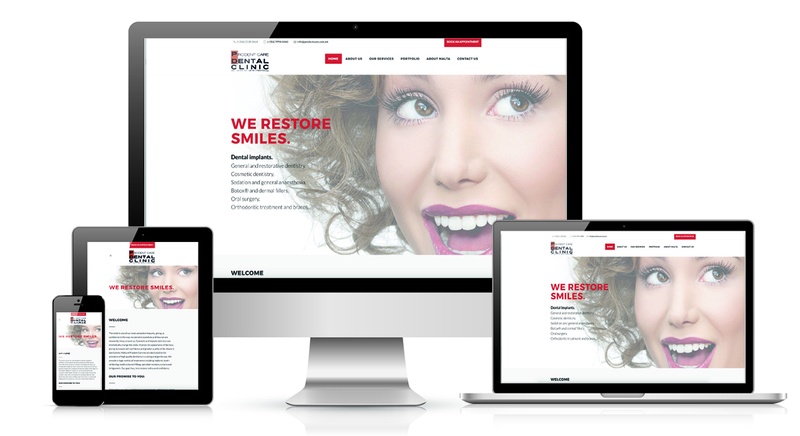 Prodent Care Dental Clinic NEW WEBSITE! Announcing the latest project from Proweb! Prodent Care Dental Clinic’s website. Check out the new website via https://www.prodentcare.com.mt. Based in San Gwann, Malta for the last thirty years and now under new ownership and management, the practice can provide up-to-date treatments and services in a relaxed and caring environment coupled with the latest technology. The patients can see the progress of their own treatment via photos taken at each step, through their treatment journey. The practice set-up was accredited by the Royal College of Surgeons, London as being a centre of clinical excellence. Lara qualified from the University of Malta in 2003, after which she has worked in hospital and private practice for two years. In 2005, she decided to move to the United Kingdom to expand her experience and further her studies. Since initially encountering Dental Implants, she has embarked on an extensive postgraduate education programme in the subject. She has achieved a Diploma and Advanced Certificate in Implantology at the Royal College of Surgeons, Faculty of General Dental Practitioners in London. She has furthered her implantology interest into research, whilst reading for a Masters in Implant Dentistry at the Queen Mary University of London. This was successfully achieved the distinction. After gaining experience working in private practice in the United Kingdom, she came back to Malta and re-opened ProDent Care. She has a special interest in Dental Implantology both on the surgical and the restorative aspect. Using state-of-art technology and employing a caring back up team, her aim is to provide aesthetic and restorative dentistry of the highest standard. Dr. Lara Cutajar Cassar has been awarded the Fellowship of the Faculty of General Dental Practitioners at the Royal College of Surgeons in London. The Fellowship is viewed as the highest accolade the faculty can award one of its members. Only just over a hundred dentists around the world have previously been bestowed this prestigious award.